TheDevilsTrifecta: What Would Liam Neeson Do? Writer. Film Person. Parental Argonaut. What Would Liam Neeson Do? It’s been a hiking kind of summer. 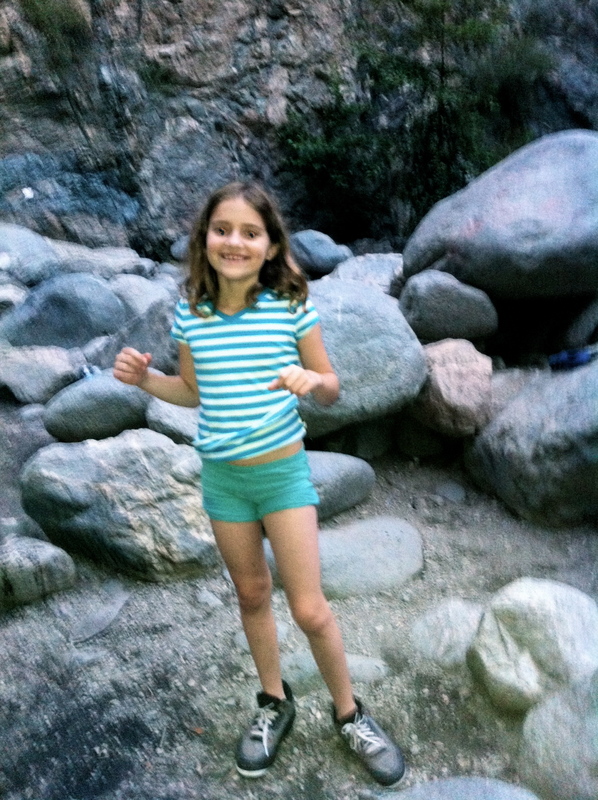 I’ve taken Girl A and E on many wild hikes. 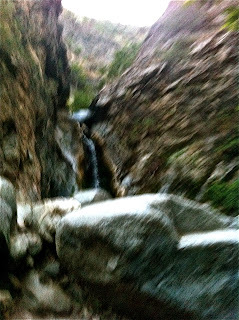 Seven thus far, with seven more to go, the idea is to hit all hikes that bear creek water. Not bears. It’s been loads of fun. Despite the adventure, beauty and overall amazing vistas, the girls have one goal, find a salamander. 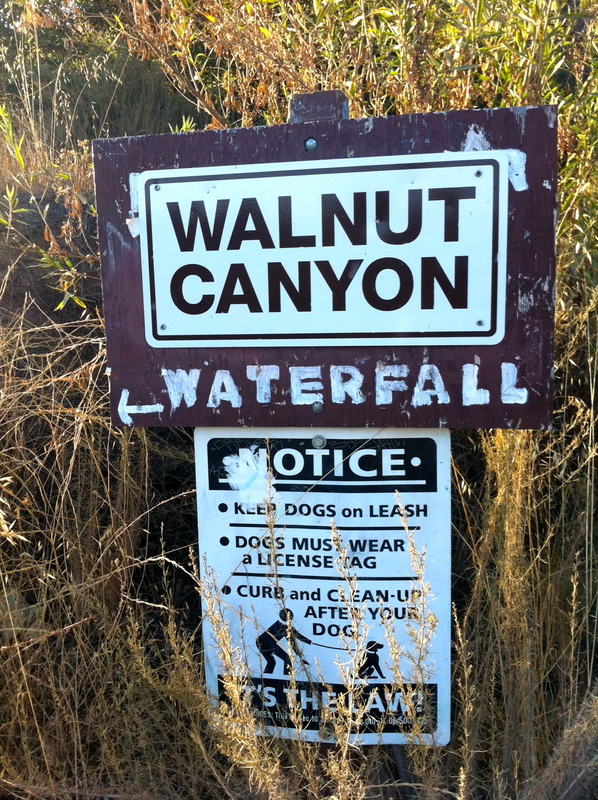 Easton Canyon has been by far most adventurous, treacherous. 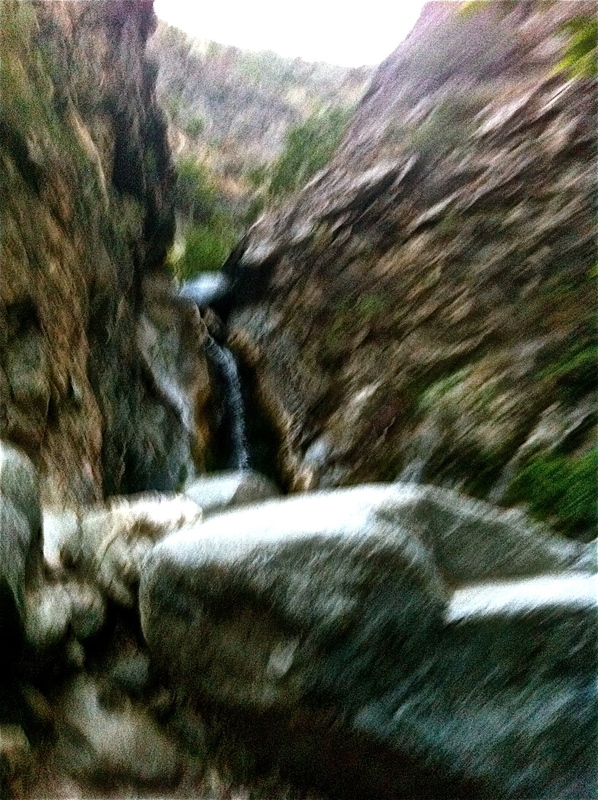 The winding trail leads to the spectacular falls. Because of the heat, I waited until after 5pm to venture out. 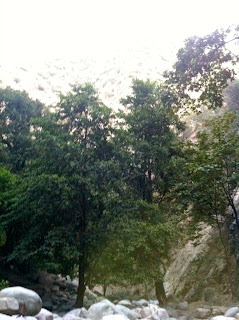 We had done this before, and getting down from the trail at dusk was never a problem. 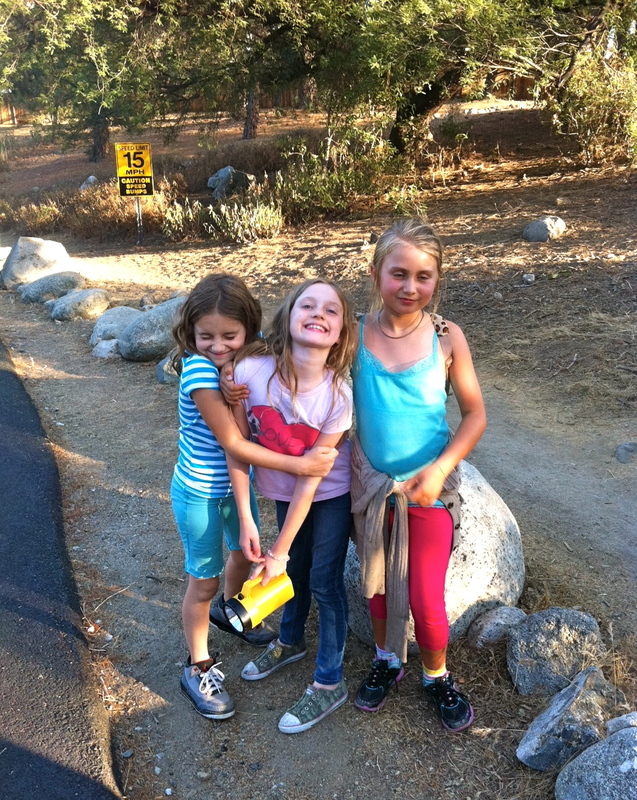 Being the by now seasoned hikers we are, the girls have their routine down. Wear long pants, hiking boots, toss water bottles and snacks into a backpack I would carry. They need free hands of course in the event they spotted frogs or salamanders. We also brought along a friend Clara, a smart, outdoorsy girl who also loves salamanders, snakes, frogs and all things slimy. Before we set out, the girls have ground rules for me. Girl A detests the way I dress, it doesn’t matter if I am going to the store, a business meeting, the White House or a hike. So I wore a white T-shirt and black yoga pants. To my credit, unlike the girls who suddenly felt the need to not wear hiking books, I wore my giant waterproof hikers that I bought for skiing trips. I let their lack of proper footwear go because I really didn’t think we would get into the trail very deep. So, slip- on tennies with no socks. And Girl A went with shorts. Along with the video, the girls read this place was brimming with salamanders, so they also brought little catching nets and containers. Here they are, filled with hope and excitement. A couple of fun signs and 20 minutes of upward climbing later, all the girls are bored. “Was that a bogus website?" "Guys, we read it together. 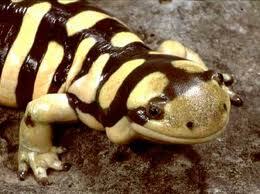 It said salamanders... like many." “Mmmm, hmmm.” This is E’s way of saying, you are so full of #($*. “Lets just keep moving. I want to see the falls,” pipes in Clara. “I have to go to the bathroom,” A whines. Pretty soon ALL of them have to go to the bathroom so we find a tunneled detour to take care of business. I always carry toilet paper. They kick dirt over whatever, well, like cats do. I found that interesting. We keep moving and suddenly the dirt hike ends, just ends, and we encounter rocks. Big ones. Okay, boulders. Miles and miles of boulders. First we have to navigate the creek over other huge rock cropping settled in the water. The girls shoes and legs are now soaked, but they don’t care. Because... they might find salamanders. But they don't and it's a crushing blow. 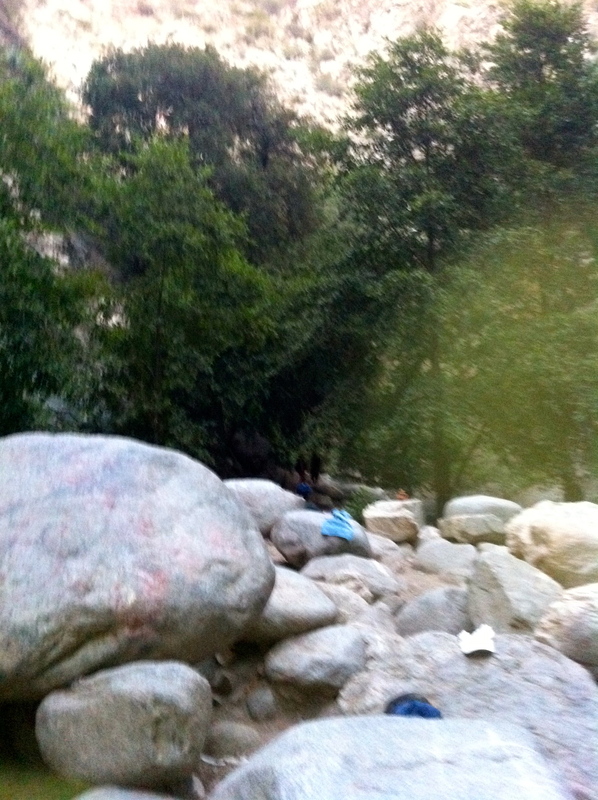 Once out of the cesspool, we start climbing boulders. By now of course I am carrying all the waters, bags, backpacks, sweaters, salamander trap contraptions. I also am making mental and physical markers because frankly we are in a canyon surrounded by mountains, boulders, giant trees, brush and no paths! 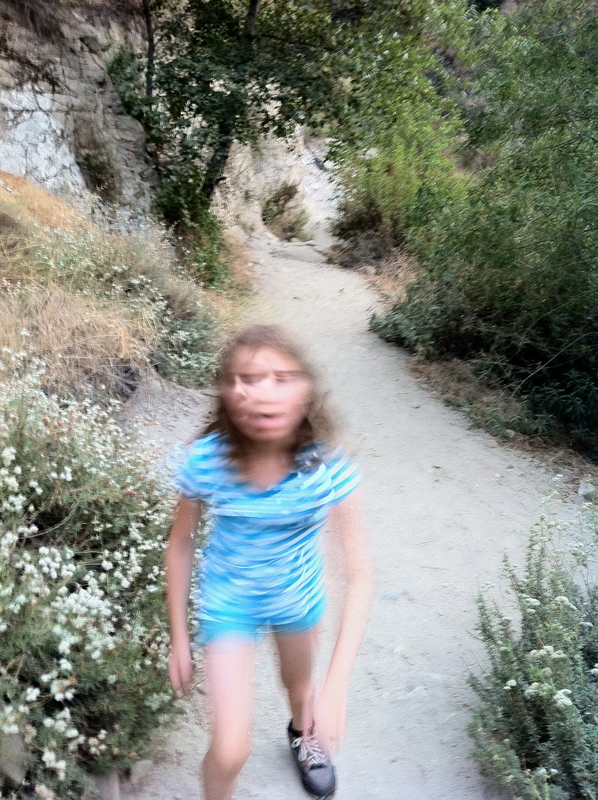 I am also concerned there might be mountain lions. As we know Liam Neeson could tear one apart. I am certain I don't have that skill. And I am guessing there will be no possible way to find our way back in the dark. The girls are scrambling up the boulders like real pros. They keep checking on me as though I may have fallen into some pit. “You okay, Mom?” "Need a hand?" I sounded exactly like a parent not wanting to sound like their parent. Meanwhile a few people are making their way down. This party is clearly over. Entire families are leaving now. Church groups. Summer camps. Militia. The girls are still light footed and running forward. We all freeze. It’s a harmonica and a sitar. And we hear water. 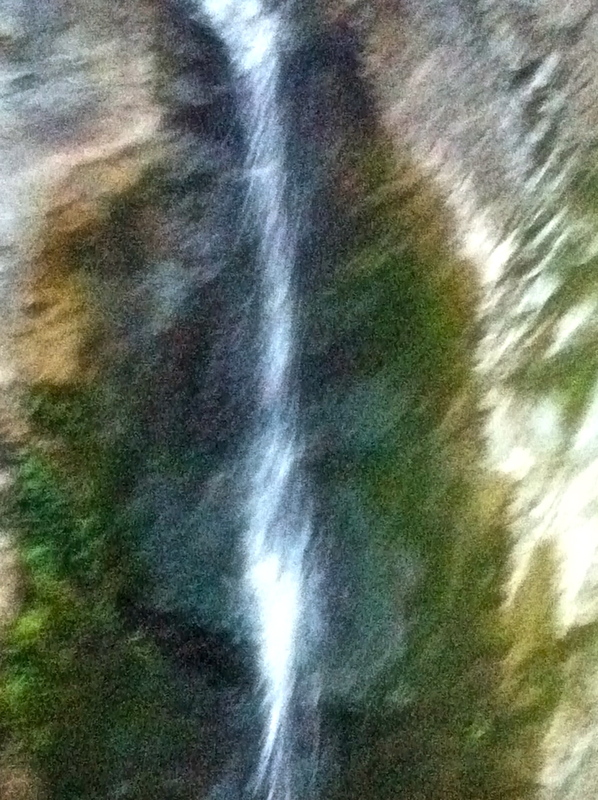 Splashing water. The girls make a mad dash up the rocks. I’m terrified they will fall. They don’t listen. I catch up. 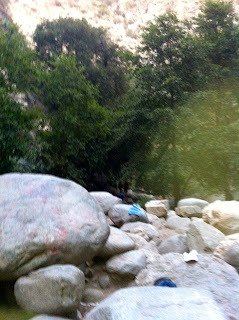 And now we are back in three feet of rocky water, which we have to cross to get to the falls. We go for it, and then finally hit dry land. And it is quite a site. And worth the rock climb. At the base of the falls were four musicians from another era playing lovely music with the sitar, guitar, harmonica and a bongo. They nodded to us, but clearly were in their own world playing variations of George Harrison's Bangladesh. I felt relieved to see them. At least we were not alone. But then again, these dudes may have been there for 30 years. Hard to say. They did have a water stick. The girls went wild and jumped into the water. Especially A. 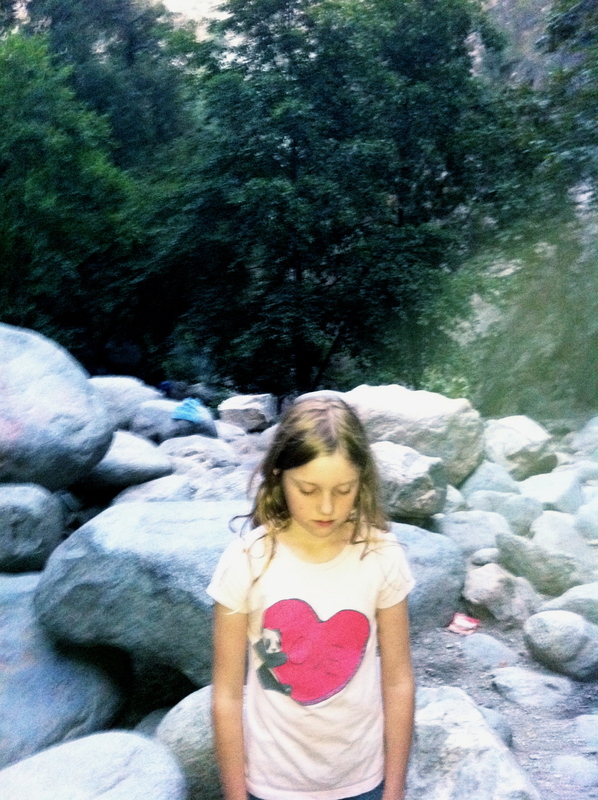 She would have walked all the way to the falls. 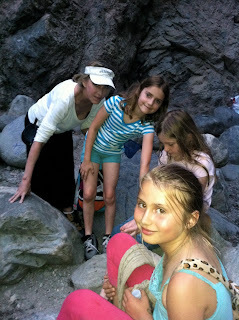 The other girls stayed in the more shallow area looking for critters, using a net, and a magnifying glass. I was too afraid to take the musicians photo but one of them offered to take ours, which was super nice. The sun had long disappeared behind the mountains. It was getting dark. Fast. All I could think about is how the frick am I going to find that trail miles away. 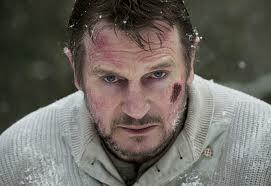 Liam Neeson most likely would grab hold a healthy vine and swing to the top of the mountain, carrying all the kids. I picked up a twig. 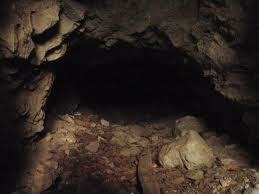 And I lead them to a dead end, a stone wall with disgusting expletives scratched all over it. “Lets try this way,” Clara says. We follow Clara, she is right. We are back on boulder way. Meanwhile I kept checking my phone for a signal. None. Did I really think I was going to call Liam Neeson and get tips? Or better, get him in person? Pushing up over the boulders I see footprints and felt better. The problem with hiking in the pitch dark is there is no way of really knowing where you are going. Images of all those Blair Witch movies with people going round and round and end up where they started float about. But I never let the girls think I’m anything less than an expert. Somewhere I lost the confidence of E. She was getting extremely scared. “We’re lost!” She sensed something wasn’t right. Plus by now this whole thing rang sinister, which will frighten any child. Shadows, noises, gloom. Except apparently A, who was enjoying all of it. E has always leaned toward the macabre and believes evil exists. Not A. She would more expect to find a gingerbread house than a witches hut. E flies into a panic, her heart starts to race. I comfort her. “Let’s just move as quick as possible.” Oh, WRONG THING TO SAY! Then I trip on a rock. Now, her fears escalate. She hadn’t thought of that. 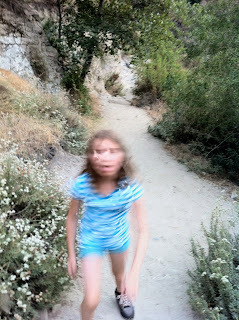 The only adult, me, impaired, possibly armless, out of commission, leaving three nine-year-old girls to find civilization. They did not see 127 Hours, but word gets around the schoolyard. Stranger, how did she even know who James Franco was? I explained over and over the real story of how the hiker got trapped, how that could never happen. We were nowhere near Utah. This helped a bit. Then I see more consistent footprints and markers. I feel more and more confident. I make sure the girls see my confidence. “What the hell is a maker?” E shouts. A explains what a marker is. “Mom, that was really smart.” A hugs me and points to a small pile of rocks I set up. This girl is fearless. In fact, she is on a mission. 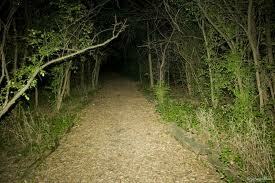 Takes control, heads out front with the flashlight. Typically she is comforting E, but I got that job. 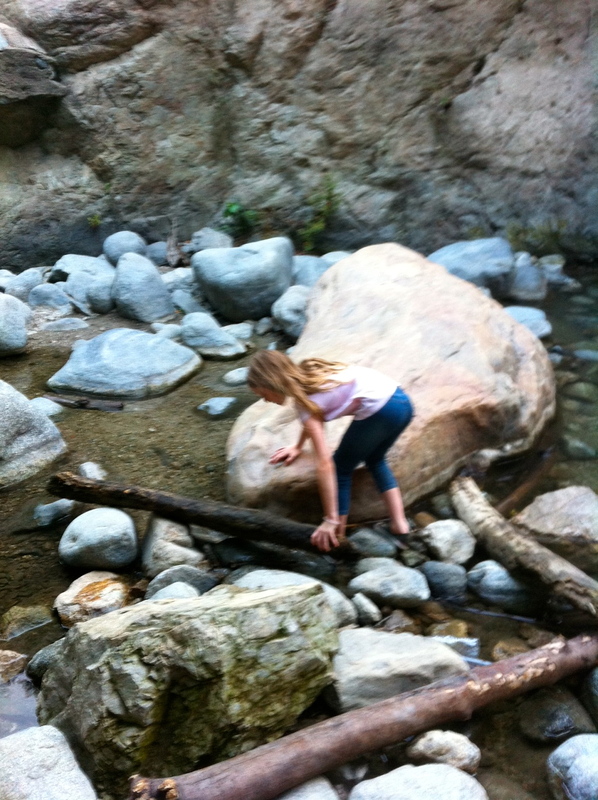 So her finely honed hiking skills get us to the 2nd creek we encountered. “I don’t care! I spit on markers! I want to go home.” E is sobbing. Again, I pull an arrow from my Neeson quiver, lean down and hold her tight. She hugged me, then cried some more. Carla slips on a rock and falls. From my mental Liam preserve or maybe it was Nurse Jackie, I knew to elevate the legs and wrap them or something. Carla stands up and is fine. I knew we had one more creek to pass before we reached the dirt trail. I was growing concerned. I did not have a penknife that turned into a helicopter that would then lift us to safety. Meanwhile, A is out front holding the flashlight and paving our way in the inky night. I pull E closer and told her we needed the light as the path was rocky and I didn’t want any spills. I let this go and instead focused on Clara’s amazing find. 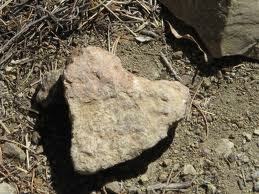 A perfectly heart shaped rock she had found. “It brings me great comfort. I don’t know why. E, do you want to hold it?” Then Clara started to sing. Now I am holding both of their arms, death grip style, 15 lbs. of gear strapped on my back, walking in wet boots with mushy socks, while A is ahead skipping along with the flashlight. At this point, Liam would pick up all three kids and run up the trail. I could barely walk myself. Now I had swamp blisters. We trudge another 15 minutes. The moon rises. “Look at that moon!” I shout, hoping to get E’s mind off her Titanic fears. It was a crescent moon, bright yellow, low in the sky and beautiful. “But E, it looks like a banana. It’s funny. I bet only a gorilla could actually reach it,” says A. So we ignored the moon and carried on. All the girls hobble forward. As we near the gate, E notices it’s closed, locked, a giant iron gate. “Here’s a perfectly fine path to the car.” A says proudly, holding out her flashlight, 100 feet of dirt and there is the car. When E dashes to her father, clinging his legs and retells the entire ordeal with great flair and drama that reach horrific proportions. When E was satisfied that she conveyed the extreme level of danger she was in and efficiently pointed out my incompetence many times, she could finally eat. I placed an entire cooked chicken on the table along with some fruit. 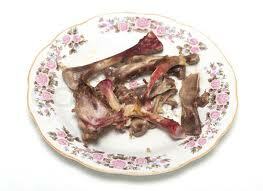 Five minutes later, I looked at their plates, nothing was left but a few chicken bones and crumbs. 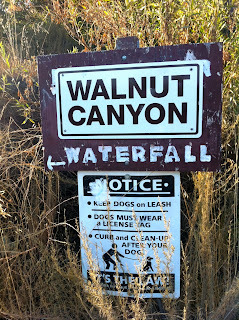 But lesson learned, be sure to enter unknown canyons long before sunset. Or take Liam Neeson with you.